On November 15, Allan Hyde who portrays Godric on True Blood had breakfast with 5 Billsbabes, Michael (aka SterlingSilverCharm) co-founder of the Billsbabes and the StephenMoyerWebring was one of them. Following her story about the event. Allan Hyde’s mother asked him if he knew he was being auctioned away on eBay. LOL ! The funnier part of this story is “WHO” he was going to …… His mother probably never dreamed it would be a group of women equal to or older than her age – women that would treat her beautiful son like their own. He treated everyone with dignity, respect and sweetness. While we all spent time with Allan over the weekend, the breakfast was a DELIGHT! When we sat down for breakfast I told Allan that I finally had my first night of sleep (4-5 hours) in the past 3 days. I was exhausted and it showed. I told him that the mattress in the hotel was so awful, that on that second night I was there, I had to go out to the store and buy one to bring in so that I could get a decent night’s sleep. I know, it’s a bit over-the-top and I think I got the same reaction from him that I’m sure some of you have on your face reading this …LOL! But I could not spend another night on that mattress. I would have rather been on a rack of nails. When I met Allan on Friday night, the first words out of my mouth were “I’m sorry if I disappoint you and you were hoping for a 20 something year old with blonde hair, but you are stuck with me for breakfast”. 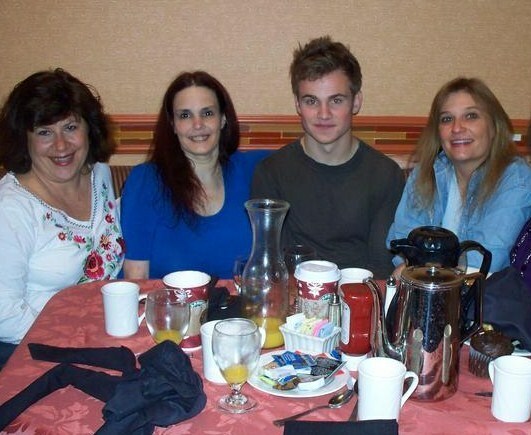 He was very sweet and seemed generally excited to see that he would be having breakfast with some of Stephen Moyer’s Original Billsbabes and its Founder. This young man was quite impressive for his scant 19 years. (He turns 20 next month) He must be an old soul. He was very mature, sweet, unassuming, savvy and smart. His onscreen level of maturity has surpassed the awkward; angst filled teenage boy type that one finds these days on TV in some of these teenage shows on the CW, FOX or Nickelodeon. I would prefer to see him in more adult roles. He can pull it off. When I watch him, I see James Dean, albeit a young James Dean. I think with proper directorial guidance he will be a powerhouse. What most impressed me about him was that he knows in which direction he wants his career path to take. He will be mature in his decisions and without haste. He has a plan and I hope that the people that surround him will help him achieve it. I have much faith and belief in him and his ability. 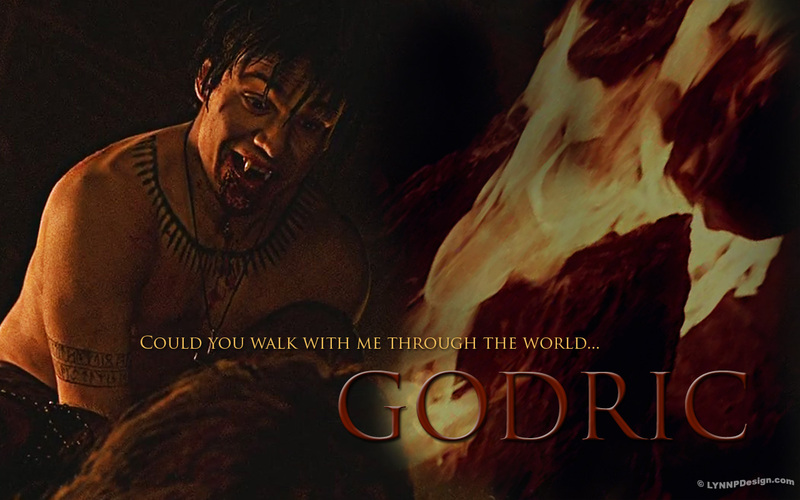 We had very many candid personal conversations with this brilliant young man – that of which I will not share, but most were pleasant stories about his role as Godric in Season 2 and his reoccurrence in Season 3. (Personal note: I do hope that we are not limited to just one or two episode(s) with Allan for S3). All anyone has to do is watch this young phenom in action in (what I call the pinnacle of Season 2 which could have easily been the Season Ender) Episode 9, I Will Rise Up. This was HIS episode – he OWNED it. Actually, I felt that he owned Episode 8, Time bomb, as well. I could not take my eyes off of him. 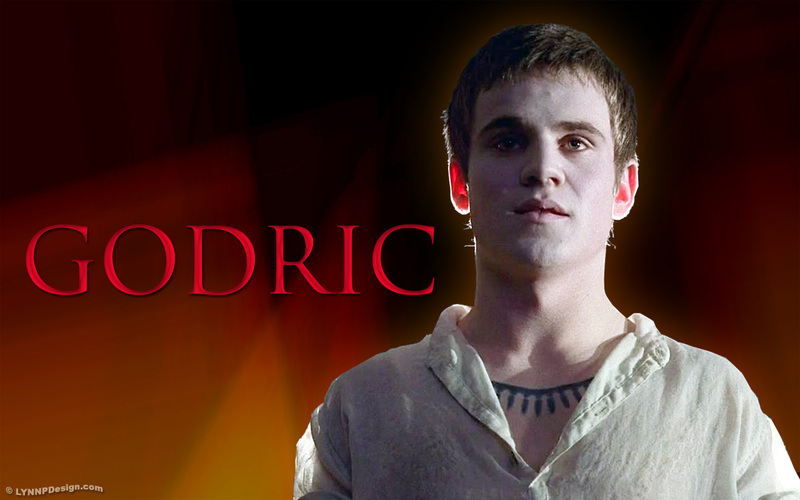 The brilliant writing and Allan’s commanding performance in Episode 9 left us wanting more, more Godric – more Allan. He took direction and executed beautifully. I can see where this young man is unafraid of anything a director would throw his way. I bet he is a dream to work with – no fear – a director’s dream. This is evidenced by his past independent work. 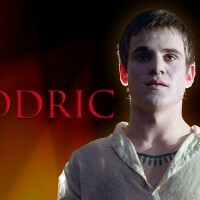 I believe the Godric character will end up as one of True Blood’s cult figures by the time they get to a Series Finale. It was THAT good. He was THAT good. I thank him for one of the most riveting scenes (the Rooftop Scene) on TV to date. 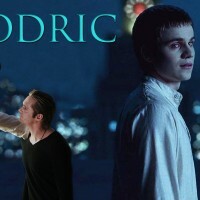 His performance was stellar and award winning as was Anders Skarsgård’s performance. I do hope that HBO will put this uber-talented young man in for consideration this award season – he deserves it and I think he will win. I made a bet with him that I will see him at the GG’s this coming January, statuette in hand. 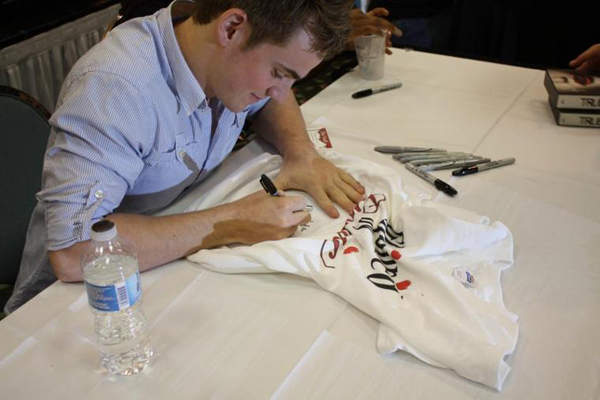 We asked Allan to sign a few shirts and items for our Billsbabes “Raffles for Charities “, these items will be listed on Trueblood-Online.com – The Vault in the next few days /weeks. 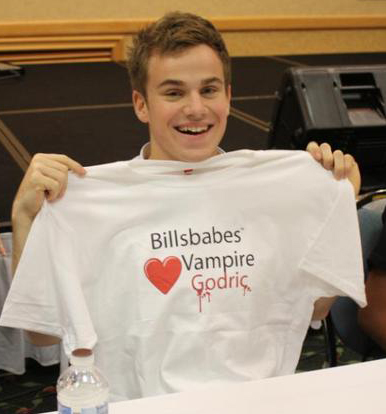 We also made a few shirts for his character, Godric (a fan favorite) and placed them in the Billsbabes Shoppe (www.cafepress.com/billsbabe) where you can purchase them and show support, not only for Allan, but for the Brentwood Theatre, in which Stephen Moyer is a patron. It was an absolute pleasure to meet this young man and I wish him nothing but health , happiness and luck in all his endeavors and cannot wait to see him in other films and of course , True Blood when they start back up in June 2010. 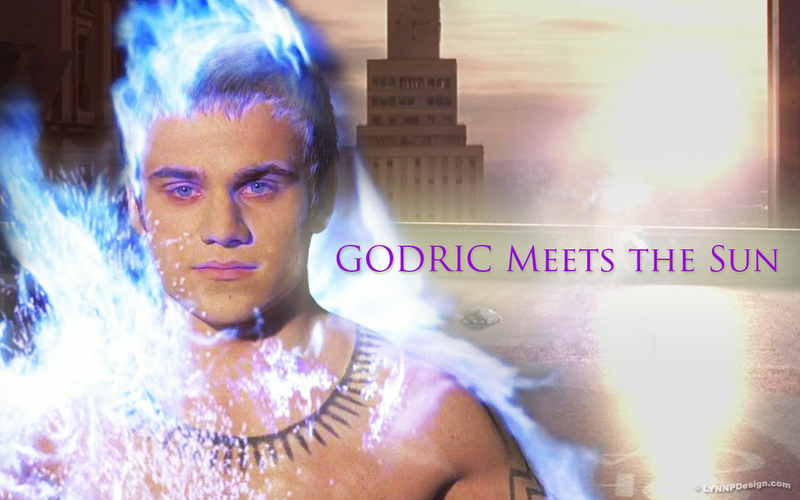 The Vault’s co-admin Lynnpd made a few new wallpapers for Allan/Godric Fans. They are 1280×800, click them to enlarge and right click to set them as your desktop wallpaper. Thanks for sharing…enjoy hearing about the Babes’ adventures! Look at all of you beautiful babes snuggling up to the Zen master. What a wonderful weekend, and what a sweet man he is! Thanks for the lovely recap Sterling! Wonderful article – thank you Sterling and my fellow Billsbabes, Great job you lucky, lovely ladies! Thanks for sharing. I agree it is obvious he is talented beyond his years. I expect great things are in store for this remarkable young man. Thank you, Shad. Lovely story. Allan seems a charming and most delightful young man. It’s hard to believe that he is only 19 (soon to be 20). He is wise beyond his years. And very talented. I look forward to seeing him back in Season 3 for as many flashback episodes as possible. Congrats to the babes for snagging this endearing breakfast companion. Lynn, your walls are gorgeous! Sterling, thank you for writing the story. I was remiss and did not thank you properly above. Thanks for relating your experience, Sterling. He certainly sounds like a well grounded young man. 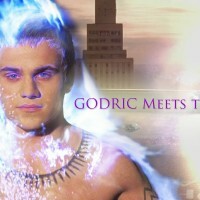 I enjoyed his portrayal of Godric, as well. But let me get this straight …. you bought another mattress for your hotel room? Florida’s water is notoriously hard. Did you install a water softener for the entire hotel? You know I couldn’t let that pass. Very nice write up on Allan Hyde, who I agree seems both talented and delightful. 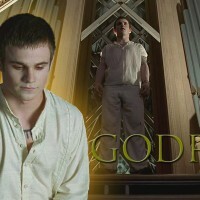 Really hope we see more of him on True Blood. I can’t help but note in the rooftop scene paragraph, you called Alexander Skarsgard “Anders” Skarsgard. There were so many funny stories, Allan is charming~ Love him! Thank you for the recap Sterling. It was a great experience having breakfast with Alan. He is such a terrific young man with a very bright future ahead of him! 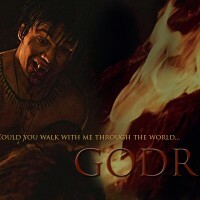 p.s… nice editing, I never looked better ;) Thank you! you never looked better HA!!!!! 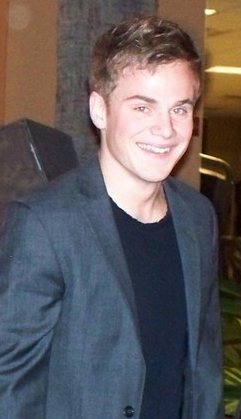 Thanks Sterling…yes it was a wonderful time…he is such a cutie patutie and I hope he finds work in the States. Um, I really think his folks did a great job raising him..he has everything it takes to be successful, especially humility! OMG such a bad hair day I had! Just terrible….why didn’t any of you tell me???????????????????? How could I?? I was still asleep. Thanks Sterling for the recap. Alan is such a cutie pie and I look forward to seeing him in S3. By the way, the next time you’re in Fl. you can stay at my house….plenty of room and I could use a new bed! Tutu you were in Fl….home of humidity! We always have bad hair days! You all look like you’re having a wonderful time. I wish I could have been there, too. What a nice article. 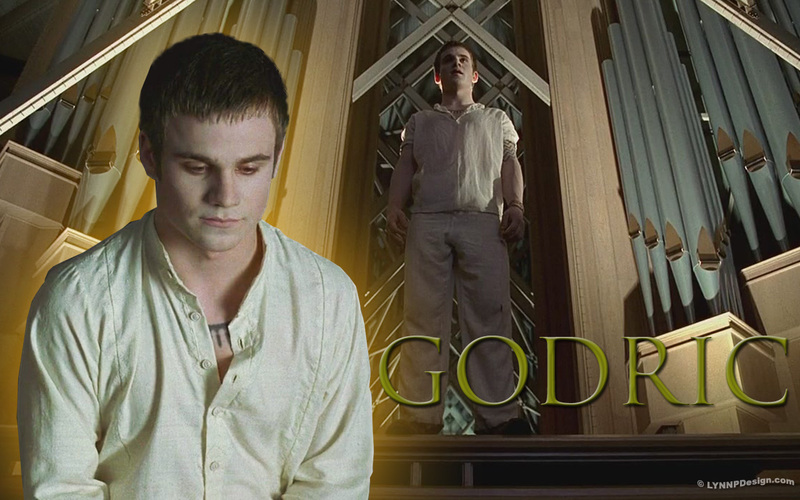 Allan Hyde, in my opinion, has a real future which he proved in being so fabulous in the part of Godric. I found him truly inspiring. Thank you Sterling for a wonderful story. The Billsbabes did a beautiful job respresenting. Allan is as beautiful inside as he is outside. He has a brilliant career ahead of him. He already have a legion of fans…. another little bit of “insider info” if Allan was on a deserted island he would want his mom and the rest of his family there to spend eternity with. That is sooooo cute! 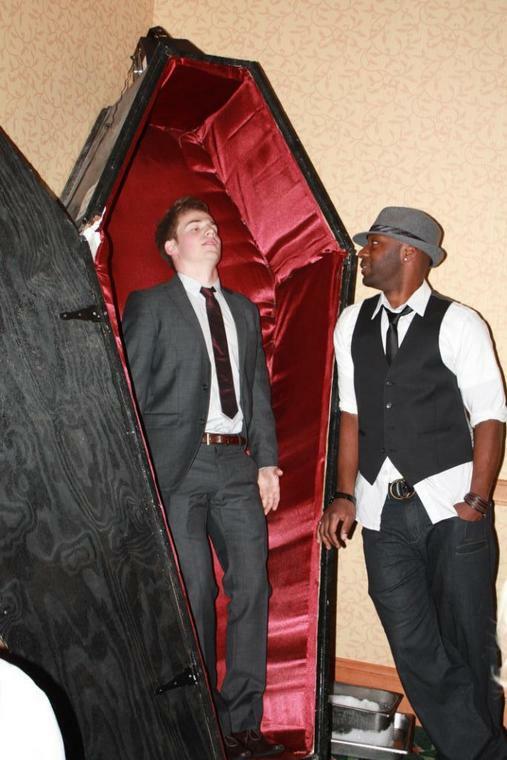 how fun for all of you…thank you all for sharing your wonderful experiences at the eyecon. you have made me pine for season three and wish that i was with you too. great job. wonder what everyone’s gonna do when paley rolls along…it’ll be utter mayhem! you are so lucky to be able to spend time with Allan. Lyn did a great job of the posters!!!!!!!!!!! OMG!! Wonderful article, Sterl! Thanks for sharing. You babes are so lucky!!! That first picture he just looks like a baby! LOL! 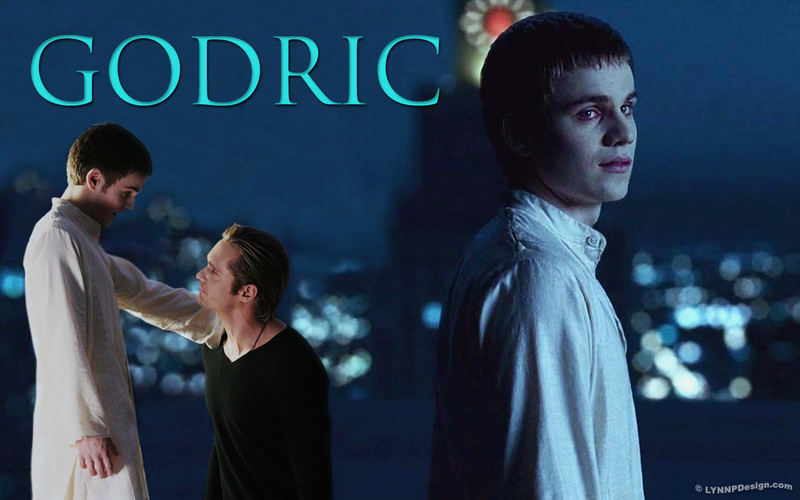 This whole vampire thing really throws a curve on actors doesn’t it? Cuz all that matters is the age you were Turned,not your actual age. I was amazed AB had the guts to go with someone so young for such an important character and an old one to boot. Being Eric’s Maker ,well, look how Eric turned out, so his Maker had to be something special didn’t he? I’m so very, very envious of you lovely girls! He sounds like a lovely, well grounded young man with loads of potential. I wish him the very best of luck wherever he goes! It was a pleasure to read your article. It’s full of nice words wich literally touched me. I hope I’ll see more of Allan Hyde as have you mentioned above. P.s : thx for creating this article.